Alfred Sigleaf's journalistic handywork on display in downtown Monrovia. In this week's pick for Video of the Week, meet Monrovia's most committed newsman. MONROVIA, Liberia – Alfred Sirleaf saw a problem, and found a way to fix it. It's no printing press, but Sirleaf's chalk-and-easel makeshift newsroom in downtown Monrovia brings the news to locals who don't have money to pay for a newspaper, access to the internet, or, for some, even the ability to read. 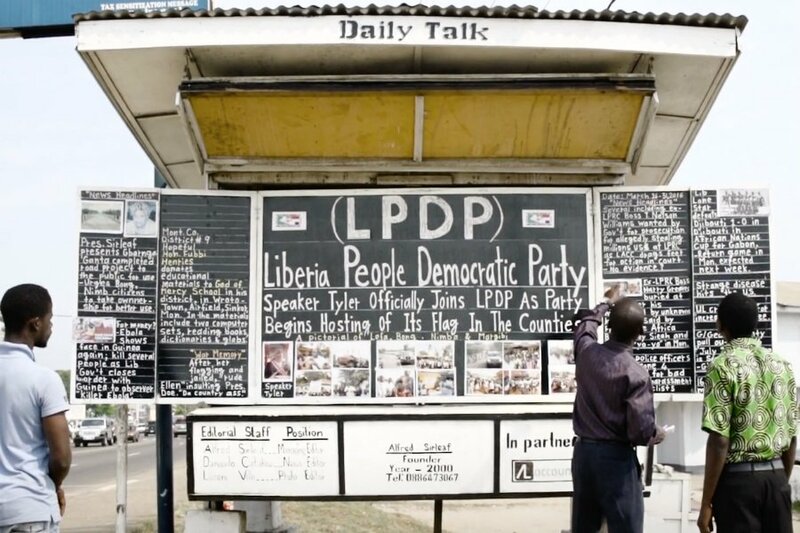 Liberia's Chalk and Easel Printing Press from Great Big Story on Vimeo.